OBB, Austria’s national rail operator, is to equip 850 stations and stops with NFC information boards so travellers can receive real-time information about the arrival and departure times of their trains directly to their mobile device. 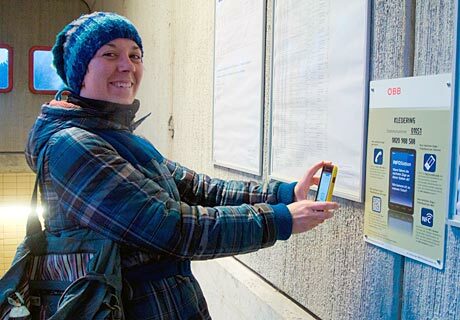 The information boards include QR codes as well as NFC and are live today in the Salzburg and Tyrol regions. In all, a total of 1,209 boards will be installed across the stations this quarter, at a cost of €62,000.